Guilin is known for its unique scenery and there's a saying in Mandarin "桂林山水甲天下". But my main purpose of this trip was to visit Longji Rice Terrace and Yangshuo coz that's where the nice scenery are. In order to get to these 2 places, I would have to first fly into Nanning and go through Guilin coz Guilin is the gateway to all these places. In fact, there's actually nothing much to see in Guilin coz it's just another city. As I mentioned in my previous post, we had to take the 6am train to Guilin coz the one that I wanted at 8.50am was sold out already. We couldn't take the later train coz we had to reach Guilin by 1pm to catch the direct shuttle to the rice terrace. Even though I've been to China quite a few times, I've never traveled on a train before, not even for China Rush...lol!! 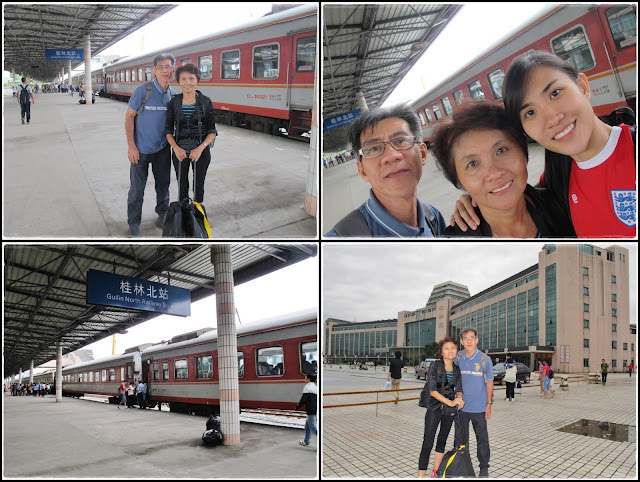 Since this was our first time traveling by train in China, we woke up at 3.30am to pack up, check-out, took a cab to the railway station, and arrived at the station an hour before our departure time. 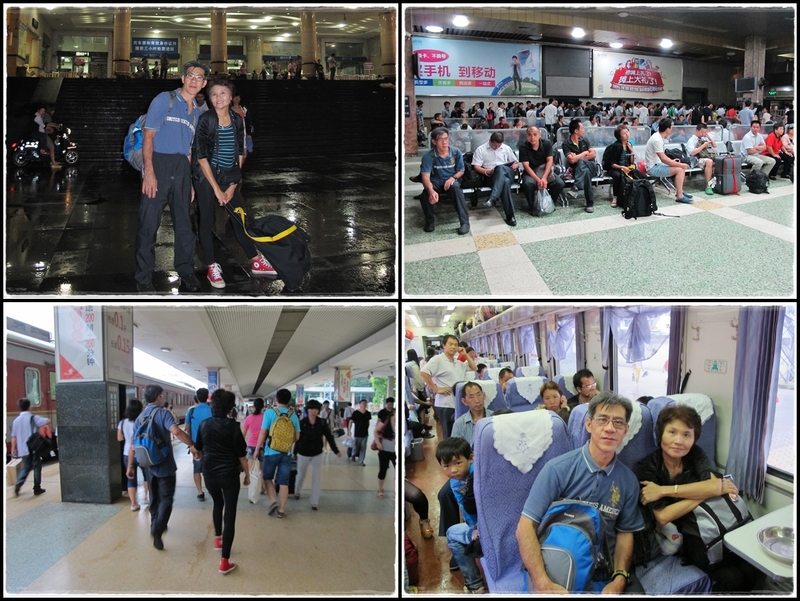 We were kinda surprised that the railway station was quite crowded even though it was still early. When everybody started to queue for the train around 5.45am, we also queued patiently expecting the train to be on time, just like how punctual the trains are in Japan. Gosh I was so wrong, how could I even compare Japan to China?? It's not even comparable. Then we heard an announcement saying that our train would be delayed but they didn't say when the train would arrive, so we continued waiting and waiting and waiting. I started to get nervous and was constantly looking at my watch coz I only had the leeway of 45 minutes to make it in time for the shuttle at 1pm. If our train gets delayed more than that, we'll be totally screwed. I was already getting frustrated with the delay and making things worse were the uncivilised people queue jumping, spitting, and smoking around us. Dude...just get out of the air-con area to smoke please...so annoying!! Unfortunately, our train departed an hour behind schedule at 7am and I knew that most probably we wouldn't be able to make it in time for the 1pm shuttle coz we still had to take a cab for 30 minutes from the North railway station to the South railway station when we arrive Guilin. So during the 6-hours journey, I had to rearrange my plans and come up with 2 alternative options. We could either try taking a public bus to the rice terrace but it would be late evening by the time we get there and it would be too dark and difficult to hike an hour to get to our hostel. Another option was to cancel the plan of going up the rice terrace, forfeit the hotel that we've paid for and spend the night in Guilin instead. Desperate times calls for desperate measures, we decided to take it easy and give up on traveling to Longji Rice Terrace, kinda disappointed that I had to give this beautiful place a miss but thinking on the positive side, we saved at least CNY 200 per person without going to the rice terrace. P.S. Traveling in China is not cheap these days, there's entrance fee to every tourist attraction! 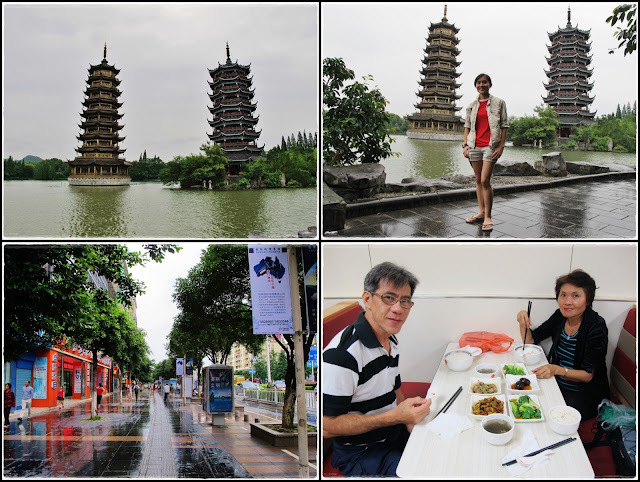 Since we changed our plans, we had the whole day free in Guilin. 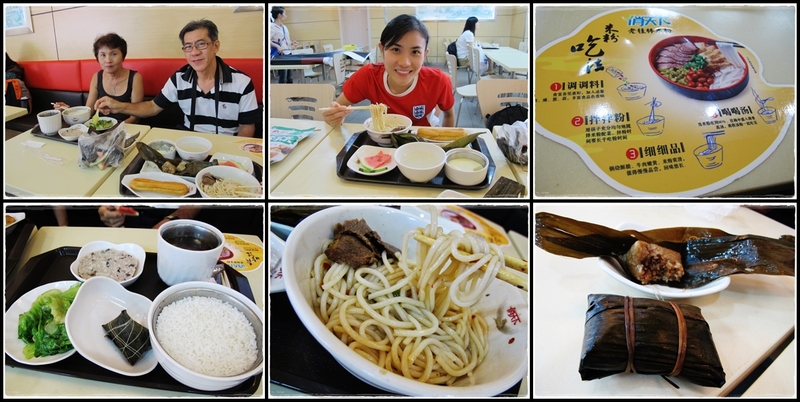 First thing first, had lunch then looked for a hotel around the bus terminal. 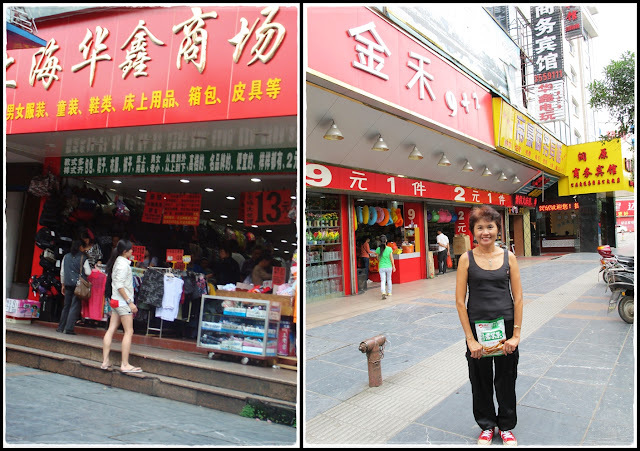 We were lucky to find a pretty decent hotel for CNY 120/night right beside the bus terminal. Relaxing day to walk around the city and visited the Sun & Moon Pagoda (日月双塔). It was cloudy and rained a lil' when we were there so the weather was very cooling. After 2 hectic days in Nanning, it was good to be able to chill and get some rest. Mom definitely enjoyed this last minute change of plan coz that means it's shopping time!! The 2 yuan shop right next to our hotel became mom's favorite place in Guilin...her shopping heaven...lol! !